TAG Heuer was founded in Saint-Imier in 1860 by Édouard Heuer. 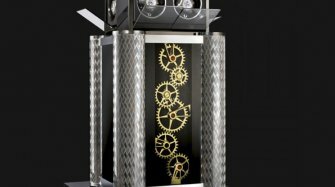 It has been a major player in the history of haute horlogerie, extreme precision, innovation and design. Its pioneering spirit has been passed down through four generations, living proof of the brand motto “Swiss Avant-Garde Since 1860”. The TAG Heuer legend is built on a number of inventions including the oscillating pinion in 1887, which is still used in its in-house chronographs today, the Mikrograph in 1916, which measured time to the 1/100th of a second, and the Calibre 11 in 1969, the first automatic micro-rotor movement. More recently, we have seen the Monaco V4, the first movement with a belt drive, and the Mikrogirder, a chronograph that can keep time to 5/10,000ths of a second, which was rewarded with the Aiguille d’Or at the 2012 Grand Prix d’Horlogerie de Genève. 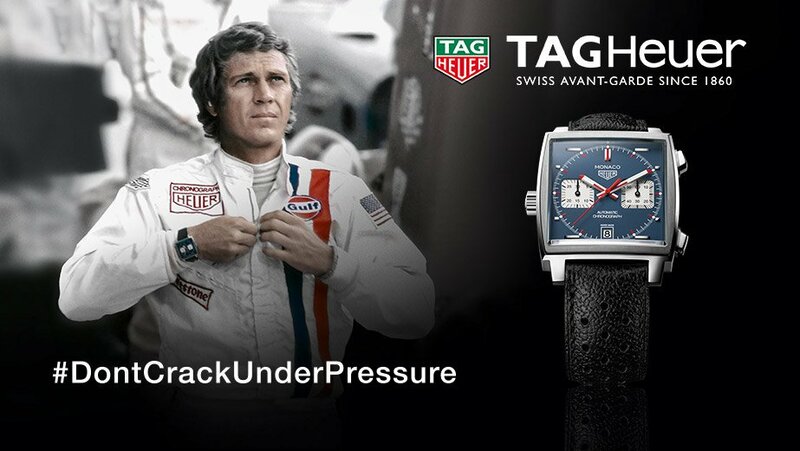 This pursuit of precision has cemented TAG Heuer’s place in the world of timekeeping, and more particularly the motor racing world. Since the first “Dashboard” in 1911, and the subsequent Autavia, the name of TAG Heuer has been inextricably linked with some of the greatest Formula 1 drivers: Niki Lauda, Clay Regazzoni, Fangio, Gilles Villeneuve, Ayrton Senna, etc. Having been official timekeeper to Scuderia Ferrari from 1971 to 1979, the brand is visible today on the Red Bull team cars at the Monaco Grand Prix, and as official timekeeper of the FIA Formula E electric car championships. The company’s link with motor racing will forever be embodied by Steve McQueen, who appeared in the film “Le Mans” wearing a Heuer Monaco, propelling the world’s first square chronograph to iconic status. 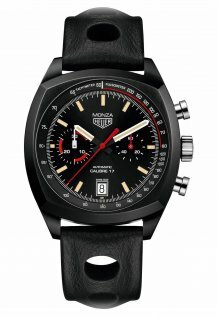 In 1985 Heuer joined the TAG group (Technique d’Avant-Garde) and became TAG Heuer. 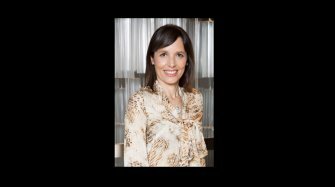 Then in 1999 it was bought by LVMH, the world’s number one luxury group. 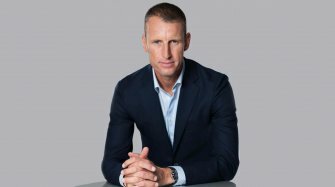 TAG Heuer, “Avant-Garde since 1860”, continues its pursuit of precision today, associating its reputation with that of some of the most globally recognised sportsmen and women in the worlds of motor racing, football, surfing, marathon and tennis. 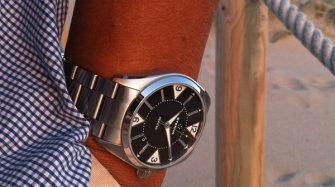 The brand is also active in the arts and music, and has recently been seen on the wrists of well-known DJs. 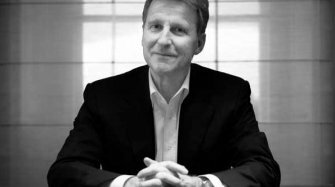 The slogan “Don’t crack under pressure” resonates strongly with this community of high-performance individuals. 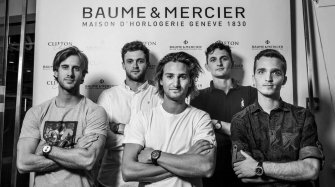 In parallel with these various partnerships, TAG Heuer remains loyal to its guiding spirit of innovation, excellence and performance, continuing to test the limits of possibility by combining traditional watchmaking expertise with cutting-edge technology. Thus, in 2015, the brand launched its first smartwatch as part of a partnership with Intel and Google. 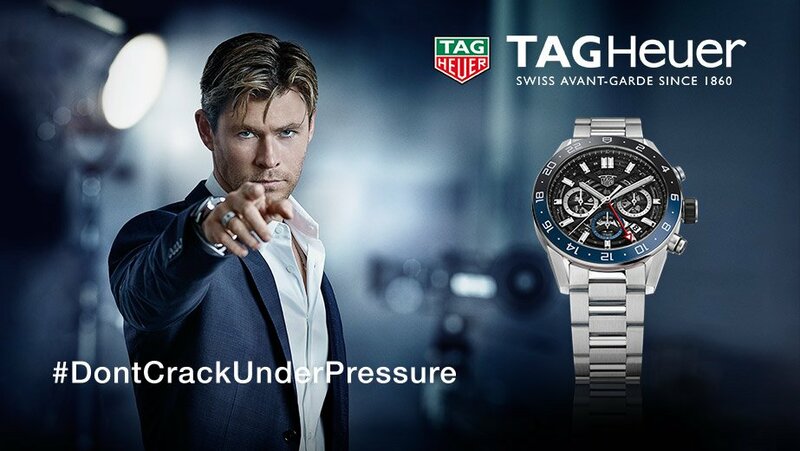 Today TAG Heuer is focusing on collections inspired by sport, which represent the fusion of technology and design. 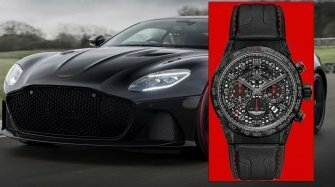 The company is particularly keen to offer a wide range, from more accessible watches (TAG Heuer Formula 1, Aquaracer) to the more elegant and sophisticated (TAG Heuer Carrera, Monaco and Link), not forgetting its connected collections. Each of its creations is available in a men’s and women’s version, as either a simple watch or a chronograph. Invention of the Mikrograph, the first chronometer capable of measuring time to the 1/100th of a second. 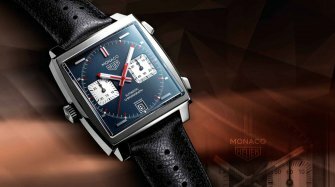 Launch of the Heuer Monaco, the world’s first automatic chronograph. 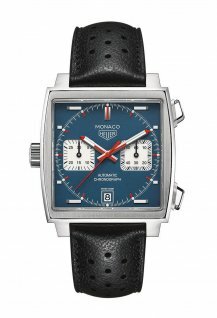 Its waterproof square case and blue dial rose to fame on the wrist of Steve McQueen in the film “Le Mans”. 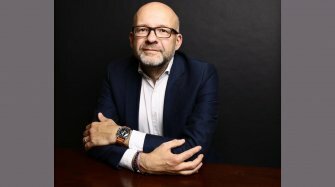 TAG Heuer joins luxury group LVMH. 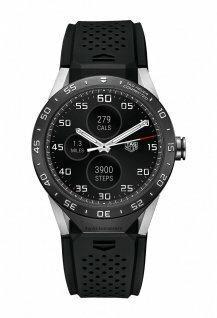 Launch of the TAG Heuer Connected in collaboration with Google and Intel. Over 150 years of watchmaking savoir-faire and technical innovation have made TAG Heuer a global reference in avant-garde sports watches. 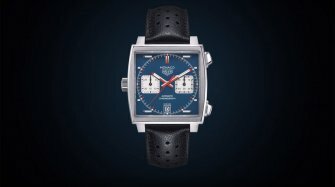 As it tracked the rise of sports demanding increasingly precise timekeeping, TAG Heuer continually developed its unique capabilities through a long-term vision of what watchmaking means today, and what it will be tomorrow. 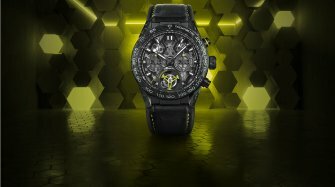 TAG Heuer has built its reputation on precision and longevity, with watches made of high-performance materials equipped with avant-garde mechanical movements. 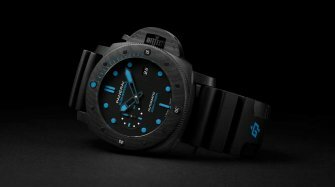 The nautically inspired Aquaracer is a simple and readable dive watch that gives pride of place to discretion and reliability as well as technical performance underwater. Launched in 1964 to pay tribute to the legendary Carrera Panamericana motor race, the TAG Heuer Carrera is a contemporary sports chronograph that has achieved iconic status. 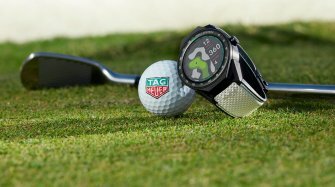 A fusion of watchmaking tradition and cutting-edge technology, TAG Heuer’s smartwatch, which has more than 4,000 apps available, signalled the Swiss watch industry’s entry into the world of connected wearables. 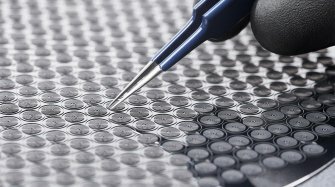 Inspired by the aesthetic conventions of Formula 1 racing, it makes the most of high-tech materials to ensure rugged durability. The ladies’ version combines ceramic with diamonds on a piece that makes a strong statement. The Link is a contemporary chronograph with a distinctive double-S bracelet, ensuring flexibility and comfort in daily wear. It also comes in a delicately gem-set ladies’ version. The timeless and uncompromising Monaco, with its square case and blue dial, has become the quintessential chronograph.  The Fine Watch Club – the world’s first multi-brand watch owners’ club, launched at the beginning of this year – organised its first official event at Baselworld 2019. It was a resounding success. 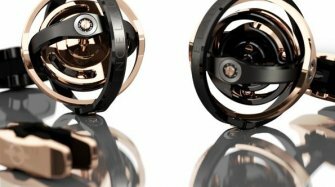 The watch industry is pursuing its drive to make fine watches (somewhat) more accessible for the masses. 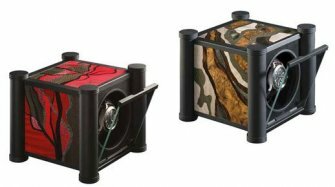 Alongside their superior models, most brands also offer at least one collection at a “reasonable” price point, without compromising on quality or creativity. 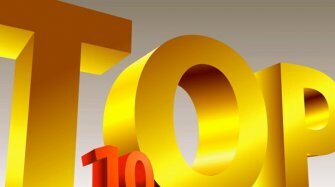 We take a look at some of the best of the affordables. 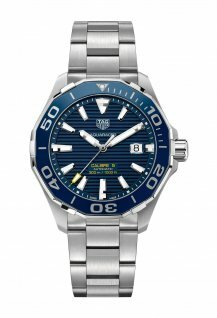 TAG Heuer Aquaracer, TAG Heuer Carrera, or TAG Heuer Monaco, for men. And TAG Heuer for women? Let the professionals guide you. 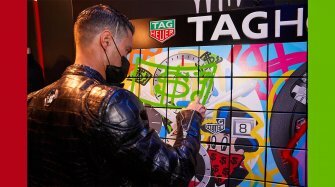 What are TAG Heuer watches? 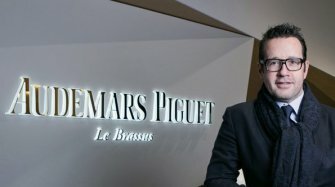 Did you know that TAG stands for “Techniques d’Avant Garde”? 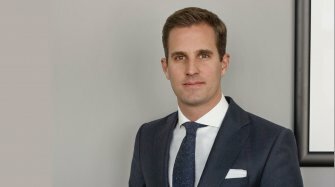 Founded under the name of Uhrenmanufaktur Heuer AG in 1860 by Edouard Heuer in St. Imier, Switzerland, purchased by the TAG Group in 1985, and in 1999 by the French luxury conglomerate LVMH, TAG Heuer remains firmly connected to its Swiss roots, with a head office and manufacture in La Chaux-de-Fonds. 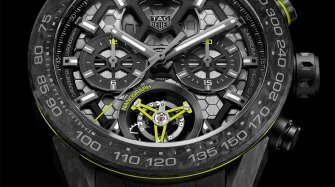 Known for their prestige sporty look, stainless steel bracelet watches and chronograph models, TAG Heuer Watches continue to be among the most ‘avant-garde’ in the world, having recently introduced the TAG Heuer Connected Modular 45. 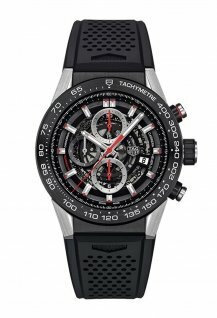 Last year, the brand celebrated the 100th anniversary of the TAG Heuer Carrera Mikrograph invented by Heuer in 1916 -- an automatic chronograph movement accurate to 1/100th of a second with 11 patents. 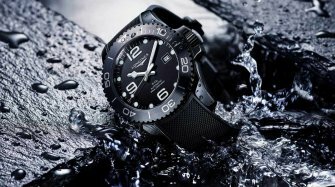 Sporty with stainless steel bracelets and cases, the brand also offers a variety of leather straps for its Aquaracer, Carrera, and Monaco models. The famous TAG Heuer ‘Link’ bracelet is a line of its own. 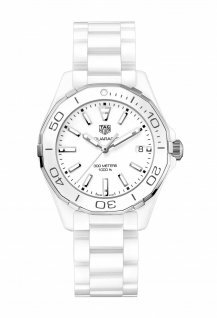 TAG Heuer women’s models feature beautiful mother of pearl dials, and models for both men and women are equipped with automatic movements and Swiss quartz movements. The essentials of the TAG Heuer Aquaracer. Designed for water sports, the TAG Heuer Aquaracer is available in a wide variety of sizes and materials for men and women, with Swiss quartz or automatic movements, three hand or chronograph versions, fitted with stainless steel bracelets or rubber or leather straps. One of the best-selling models is the Aquaracer Chronograph 300 M – 43 mm, equipped with the Automatic Calibre 16. On a black dial, luminescent markers on the indexes, hour, minute and counters’ hands, a central chronograph seconds hand with coloured tip and an angled date window at 3 o’clock with magnifying lens ensure maximum visibility through the anti-reflective scratch-resistant sapphire crystal. 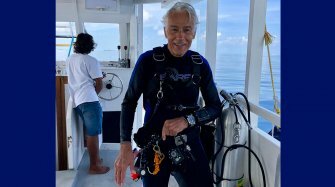 On the steel case, a polished steel screw-in crown and unidirectional rotating bezel with black faceted ceramic, along with the exclusive double security clasp on the bracelet, make for safe diving. Available also with a blue dial. A 32mm model in stainless steel with 18K rose or yellow gold bezel set with diamonds and a white mother of pearl dial has been created with women in mind. What you should know about the TAG Heuer Carrera. 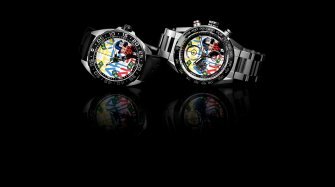 TAG Heuer Carrera watches are contemporary sports watches inspired by car racing. Created by descendent Jack Heuer in 1963, the TAG Heuer Carrera was the first chronograph specifically designed for professional drivers. With its simple, elegant and readable design on a large face, it is perfect for all car enthusiasts or simply everyday drivers, on or off the road. Cases in stainless steel or gold range from 43mm for the TAG Heuer Carrera Automatic Chronograph Day Date to the 28mm TAG Heuer Carrera Automatic for ladies, with blue, white or black dials. As with the TAG Heuer Aquaracer, special luminescent hands and markers make for easy reading in the dark, and a folding clasp with a built-in security system makes sure it sits comfortably on your wrist no matter how rough the driving gets. 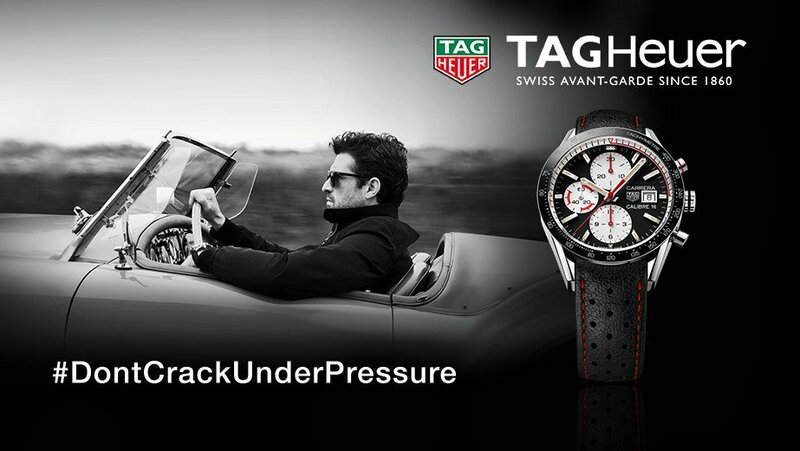 The TAG Heuer Carrera offers automatic, Swiss quartz, chronograph and GMT movements. The new TAG Heuer Grand Carrera series features new aesthetics with a Grande Date, and a large choice of stainless steel bracelets and rubber or leather straps. Unlike the round TAG Heuer Aquaracer and TAG Heuer Carrera watches, the TAG Heuer Monaco has a vintage look in a signature square case. Sported by Steve McQueen in the film “Le Mans” it remains distinctive and strong. Known for its 39mm stainless steel case with blue dial and white square chronograph subdials, a 40.5 black dial model also exists. The TAG Heuer Monaco is water resistant to 100 M.
Women are spoiled with TAG Heuer, as specific smaller models are made for women from the Aquaracer and Carrera lines, with Swiss quartz or automatic movements. 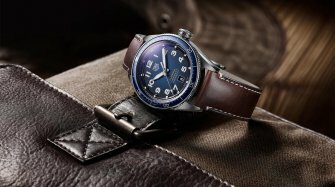 In stainless steel or gold with leather straps or steel and gold bracelets, or, for example, with a beautiful blue dial and blue leather strap for the classic yet sporty TAG Heuer Carrera Lady, TAG Heuer women’s watches feature many of the same useful characteristics as the men’s models. The 35mm Aquaracer in stainless steel with screw down crown and case back features a unidirectional rotating bezel in black ceramic, and is water resistant to 300 M. Adding a feminine touch, the dial this time is in black mother of pearl with diamond markers.